Former MLS forward Alejandro Moreno thinks there is no way Tottenham Hotspur will let Fernando Llorente move to Barcelona. 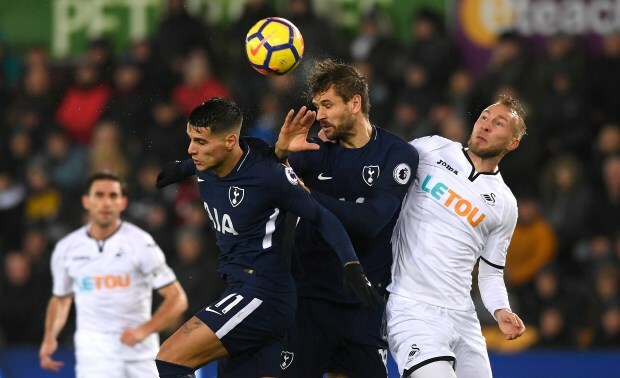 Llorente, who joined Tottenham in the summer of 2017, has struggled for regular involvement this term after playing second fiddle to Harry Kane. The 33-year-old has expressed his desire to seek greener pastures this month in a bid to feel valued again elsewhere, preferably back in Spain. Barcelona are believed to be keeping tabs on Llorente as an option to provide cover to Luis Suarez at the Camp Nou, amidst the striker’s growing frustration in north London. However, an injury to Kane during the defeat to Manchester United now means that Llorente is the only natural striker within Tottenham’s senior ranks and Moreno feels a potential switch is off the cards now. The former Venezuela international admitted that even though Barcelona moving for Llorente makes sense for coach Ernesto Valverde, he cannot see it happening. “There has been some talk in Barcelona about Llorente because Valverde mentioned him as a potential target for them”, Moreno said on ESPN FC. “He knows him [too] and not only that, they are looking for a guy that knows his place in the world. “A veteran guy that is going to come into the locker room, he is going to do his job and if called upon, he may score a goal here and there. “However, that’s all a great plan up until Harry Kane gets hurt. Llorente, who has yet to start a game in the Premier League this season, has been restricted to just 241 minutes of playing time across all competitions.